KIEV, Ukraine -- The U.S. supports Ukraine's European aspirations and expects that the Association Agreement (AA) and establishment of the free trade area with the EU will provide a significant impetus to the development of Ukraine's economy and will attract investments. This statement was released by the U.S. Ambassador to Ukraine, Geoffrey Pyatt, as reported by Unian. 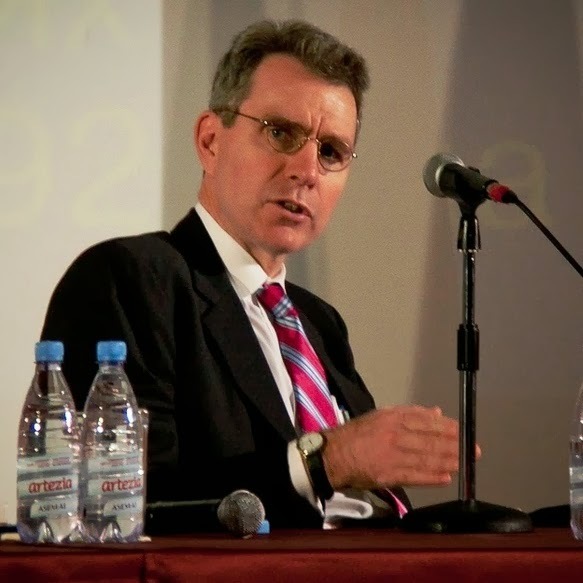 According to Ambassador Pyatt, Ukrainian entrepreneurs will receive an advantage on the European market throughout the transition period of implementation of EU regulations, which may last from three to 10 years. The U.S. official also noted that Ukraine may experience the growth of investments coming from abroad, provided it is financially attractive. The fact that association with the EU will benefit Ukraine's economy has been also stressed by the Lithuanian Ambassador to the U.S., Zygimantas Pavilionis. He believes that Ukraine may increase its GDP manyfold after signing the AA. Ambassador Pavilionis cited Poland's example, when the country increased its GDP six times between 1995 and 2004 after the signing of the AA, similar to the one which Ukraine is expected to sign. He reiterated that after Ukraine signed the AA, it would get access to the 500 million market. In addition, since both the U.S. and the EU are negotiating the possibility of establishing free trade area, Ukraine has great potential to dip into the 800 million market. "This will be the largest liberal market in the world," stated the Lithuanian official. He also noted that Poland at the time didn't have such a deep and comprehensive free trade area with the EU that Ukraine is going to get. Notably, on October 9, 2013, when attending a discussion titled Diplomatic Dialogue: Ukraine's Quest for European Integration & Lithuania's Chairmanship of the EU, organized by Harriman Institute in New York City, Ambassador Pavilionis spoke about the European road of Lithuania, advantages of EU membership and the priorities of Lithuanian EU Presidency. He stressed that Lithuania firmly supported the signing of the Association Agreement between Ukraine and the EU and saw Ukraine's future in the European Union. Reportedly, the signing of the AA is scheduled for November 28-29 at the Eastern Partnership summit, which is to take place in Vilnius, Lithuania.